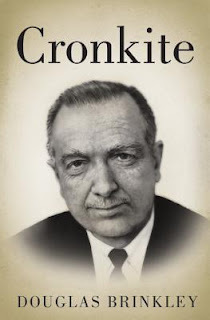 Douglas Brinkley presents the definitive, revealing biography of an American legend: renowned news anchor Walter Cronkite. An acclaimed author and historian, Brinkley has drawn upon recently disclosed letters, diaries, and other artifacts at the recently opened Cronkite Archive to bring detail and depth to this deeply personal portrait. He also interviewed nearly two hundred of Cronkite's closest friends and colleagues, including Andy Rooney, Leslie Stahl, Barbara Walters, Dan Rather, Brian Williams, Les Moonves, Christiane Amanpour, Katie Couric, Bob Schieffer, Ted Turner, Jimmy Buffett, and Morley Safer, using their voices to instill dignity and humanity in this study of one of America's most beloved and trusted public figures.